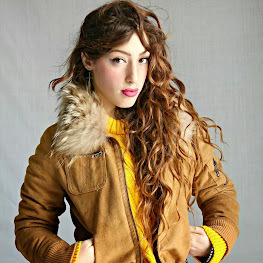 This is My Style - by Martina Caruso: Parka Militar ! Ma gli Impegni Chiamano ! Sicuramente il Capo Giusto ! per giocare a fare la Dura ! Senza Dubbio è il Capo Eroico Per L'Autunno Inverno 2012-2013 ! In principio fu kenzo a lanciare questa moda, ora di maglie con la tigre se ne vedono tante anche Low-Cost ! 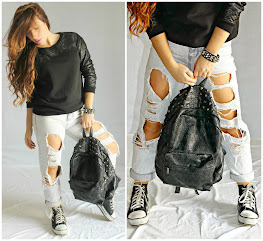 Jeans Bershka Verde con Dettaglio borchie ! Infine indosso le Mie Adorate JEFFREY CAMPBELL Ricoperte di Borchie con Tacco Vertiginoso ! infine per tutte le nuove arrivate se il mio Blog di vostro gradimento vi ricordo di iscrivervi ! But the commitments they call! to play at the Hard! No Doubt is the Head Heroic To The Fall Winter 2012-2013! In the beginning was kenzo to launch this fashion, now mesh with the tiger that swarm also Low-Cost! Green Bershka jeans with studded details! Finally I wear my worship JEFFREY CAMPBELL Covered with heel studs with Dizzy! Finally, for all the new arrivals if my Blog to your liking remind you to join! Nice! Love the tiger print and the camo. Both so trendy this season. Grazie Milleee.... Si, si Sono di Napoli ! Che bello il tuo parka e ti sta anche molto bene !!! ne sono entusiasta che ti piace Napoli.... A Presto..KISS ! Amazing outfit! love your sweater! Love the Jumper, and you look gorgeous! sure that you ... I'll be right! Che bello il tuo look e il parka e stupenda. Un bacio cara. Fantastic look, darling! You have a great style! Do you want to follow each other? Just let me know! If you get a second, I'd love to hear your thoughts about my latest outfit! Wauuu..Grazie Infinite,,,Arrivo subito a visitarlo ! Complimenti questo look mi piace da impazzire ..
amo le tue Jeffrey Campbel ..che spettacolo !! Wau.... Grazie Mille Cara, Ne sono felice che ti piaccia ! Arrivo subito a visitare anche io il tuo Blog.. a presto,kiss ! certain that you'll be right there too to visit your blog ... soon, kisses! Certo che SI, Arrivo subito nel tuo Blog ! Grazieee.... Arrivo subito da Te <3 Bacio ! Thank you very much..kiss ! Grazie Mille cara... A Presto <3 Kisses ! Thanks a lot dear .... I'll be right with you! Hi! 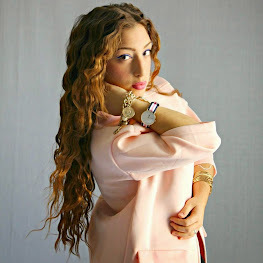 Just found your blog and it's really nice :D You are beautiful! thanks a lot dear ... sure that you willingly ! thanks ... sure that you, again! 1Grazie... Buon Fine Settimana Anche A TE ! Nelle foto intravedo una stupenda Piazza Plebliscito. Napoli è la mia città,anche se da un bel pò vivo a Roma. Grazie per essere passata ! Ti aspetto su Dressig&Toppings e sulla pagina fb! SISI...davvero stupenda ! Grazie a Te ... arrivo subito a ricambiare <3 BACI E BUON FINE SETTIMANA ! Tnx for commenting on my blog. Beautiful shoes, beautiful dress a and you are a beautiful women. wau .... thank you very much! awesome outfit !! great shoes!! welcome ... thank you very much ... sure that you, happy <3 coming soon! Sure, I want to follow each other, I'm following now! thanks a lot dear ... Certainly, coming soon! Ciaoo grazie per essere passata dal mio blog,ti seguo volentieri ricordati di ricambiare se non l'hai fatto già!!! hey dear !! followed you back ! welcome dear ... thank you so much <3 you soon, kiss! Ciao bellezza! Ti seguo, ricambi? BENVENUTA...Certo che si, arrivo ! coming to visit your blog, kiss! Grazie per il tuo commento, io ti seguo già da un po' ;)! GRAZIE A TE....A Presto,Bacio ! Great parka, and love the shoes! welcome, thank you very much dear! grazie x essere passata dal mio blog! da oggi ti seguo anche io! thanks a lot dear ... arrival in your blog! Very beautiful outfit! Love that photoshoot! thanks a lot dear ... soon, kiss! thanks a lot dear ... welcome! Sure, we can follow each other! I'm following you now and will appretiate you to follow me! 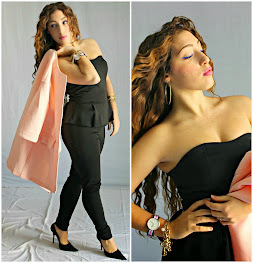 www.the-world-c.blogspot.com + JOIN MY GIVEAWAY Marti you can win a fab dress! Hai ragione, il parka è il capo della stagione! xoxo Mina. Grarazie tante per la tua visita...A Presto..Kiss ! I really like the setting of this shoot. And that jumper is awesome! Wau ... thanks a lot dear, see you soon and good weekend! And I'm following you now via GFC :-) Thanks for stopping by my blog, dear! Grazie Mille cara.... Certo che SI, Volentieri, arrivo ! Grazie Mille Cara....Baci E Buon Fine Settimana anche a TE ! Ok dear .... Thanks anyway! If you like we can follow each other on Facebook too? welcome dear ... thank you very much, I'll be right in return! passa a vedere il mio ultimo post! 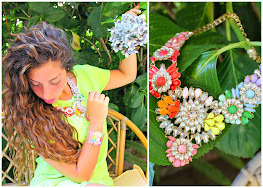 Grazie mille <3 arrivo subito a visitare il tuo ultimo post ! Thank you dear, good Sunday .... see you soon! nice look. i like your sweater, its coool!! Welcome ... Thank you very much dear! Welcome, of course yes .. arrival! :) eccomi, ti seguo su fb e blog! ti aspetto come follower sul mio blog! Grazie A Te Cara.... Arrivo subito a Ricambiare ! Bacio e buon inizio settimana ! Che belle queste foto...stai molto bene!!! Napoli, giusto? Ti seguo...se ti va di ricambiare torna a trovarmi! nice look! love the army with the tiger! thanks for the comment! your newest follower no.299,hope you can follow back! I'll be right to return, soon! Grazie Mille Cara <3 ! Bello il parka e tutto l'outfit! GRAZIE A TE... Arrivo subito <3 BACIO ! Wow! Molto carino il tuo blog! 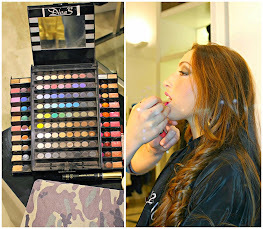 :) Ti va di seguirci a vicenda su GFC, fb, bloglovin? Fammi sapere!! Un bacio! Grazie Mille... Certo che SI, Con Piacere ! grazie ti seguo anch'io su GFC!! Grazie Mille <3 Bacio ! Grazie per essere passata da me Martina! Non amolo stile militare male scarpe mi hanno fatto girar la testa! Non amo lo stile militare, ma in questo caso la giacca è favolosa! Se ti va passa da me! !